Instagram is unlike Facebook because you're able to highly curate your experience. If you love photography, you can follow mostly professional photographers and have an entirely different experience than someone who loves jewelry, for instance. Are you a lover of everything DIY? If so, make sure to follow some of these DIY Instagram accounts for a daily dose of project inspiration. From fashion to home decor, we are sharing the best brands for all types of do-it-yourself goodness. Erica Domesek founded this popular do-it-yourself lifestyle brand in 2009 that appeals to a wide range of crafters. She even sells DIY kits for beginners or people who don't feel like shopping for supplies. Browse through her Instagram for an array of DIY project previews, from beauty products to fashion to home decor. Kelly Mindel of Studio DIY is devoted to making life a party and loves sharing crafts inspired by her young son. There is a mix of lifestyle photos along with party ideas and whimsical DIY projects to get your craft juices flowing. If you enjoy vibrant parties with fun, handcrafted decor, you'll love when this account pops up on your feed. You can be a DIY lover but not necessarily have a craft room of your own. Perhaps you like to focus more on renovating your home during your free time. If you are a weekend warrior that tackles home reno projects, be sure to follow Mani Gubler of Vintage Revivals. 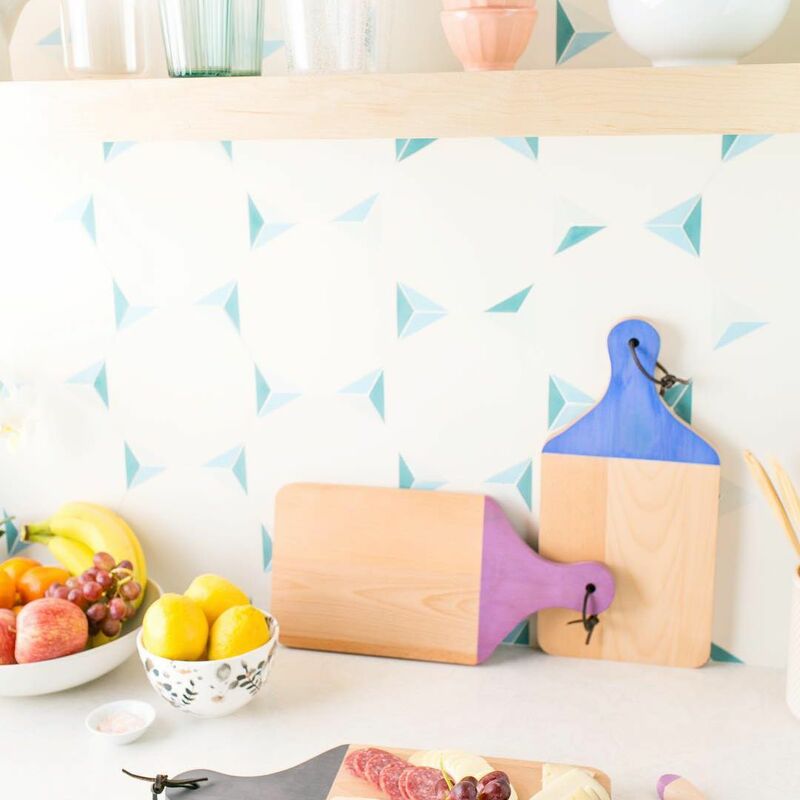 Her Instagram is packed with colorful, home-inspired DIY projects. If you crave simple, bright DIY projects you can actually make at home, follow Kara Whitten from Kailo Chic on Instagram. Her style is so cheerful, you can't help but smile at her rainbow of photographs and craft projects. Hop on over to her DIY Instagram and check out some of her themed soap projects. Do you like to tackle DIY projects with your kids? If you're looking for craft inspiration for all ages, be sure to follow Handmade Charlotte on Instagram. Her feed is filled with bright, kid-friendly crafts and easy to make recipes. Have an upcoming party? Find some themed dessert and snack inspiration here. Francesca Stone from Fall for DIY has a very bohemian and artistic sensibility that she brings into her craft projects. Her Instagram is full of the latest DIY trends that are as inspirational as they are beautiful. If you want to follow a truly elegant account with a focus on home-related DIY, this is a must-follow. This is another account for all the weekend warriors out there. Jenni Radosevich of I Spy DIY combines crafting with home renovation and home decor. If you love rehabbing old houses and coming up with neat ways to DIY around the house, you'll find loads of ideas here. Make sure to get the latest updates on her renovation progress on her highlighted stories. The House That Lars Built is a fun feed dedicated to artful living and making. Though this feed incorporates lots of bright colors like some of the others on this list, it has a more vintage vibe that we appreciate. Follow along as this crafter releases her first book, Craft the Rainbow and pick up some fun craft ideas along the way. The great thing that sets the Lia Griffith Instagram feed apart from some of the others on this list is that it is almost exclusively dedicated to craft and DIY projects. Life updates are kept to a minimum, which maximizes the amount of craft and DIY inspiration you'll get from this DIY Instagram account. If you want access to tons of DIY ideas without much filler photography in between, make sure Lia Griffith is on your list. Author and color enthusiast Rachel Mae Smith keeps her Instagram feed full of color and DIY inspiration, which will likely appeal to your budding creative side. What's more, Smith has a lot of photos of craft room organization that will make you want to start organizing your supplies ASAP. Her decluttered craft spaces are impeccable. Follow along with the release of her first book and a move from Philidelphia to Brooklyn.